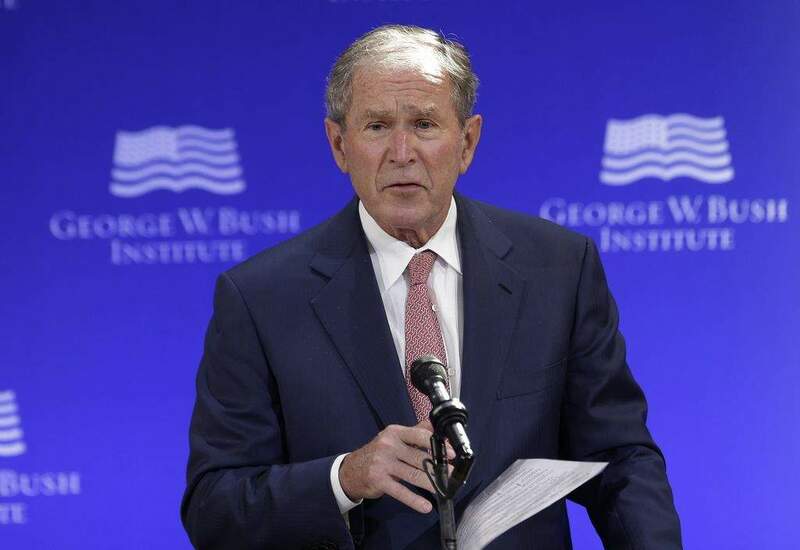 ABU DHABI, United Arab Emirates – Former President George W. Bush said on Thursday that "there's pretty clear evidence that the Russians meddled" in the 2016 American presidential election, forcefully rebutting fellow Republican Donald Trump's denials of Moscow trying to affect the vote. He made his comments while in a conversation with Michael Milken, known as the king of high-risk "junk" bonds in the 1980s. Milken pleaded guilty to securities-law violations in 1990 and served 22 months in prison. He agreed in a settlement with the SEC to a lifetime ban from the securities industry and paid a $200 million fine.